This game have issues in the audio streaming? Issue: Only plays the first song. DSP Engine: DSP-HLE, DSP-LLE & DSP-LLE Interpreter. Backend: XAudio2, OpenAL & Dsound. You should go to the issue tracker, http://code.google.com/p/dolphin-emu/issues/ and post things. Link to your video which shows the glitch in action, it can easily be accepted then. It plays other songs if you quit to the main menu and start the game again. Yup, but now don't loop the first song forever. 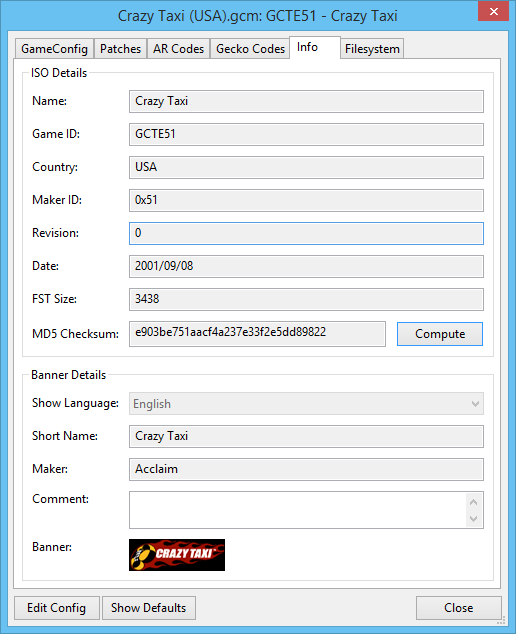 Recently some major improvements were made to DTK audio streaming that resolved the looping song in Crazy Taxi. For some odd reason, this change seems to have been reverted because now on the latest development built, the music loops again and there are random synchronization issues of sped up audio. I'm not having those issues with Crazy Taxi at first glance. If you want it to get looked at though, please find the build that caused these regressions and make an issue report. Alright found the issue. It was because I had manually set framelimiting to 60 fps/vps in the Config menu. I don't remember why I did this, but setting it back to Auto resolved the song looping bug again.